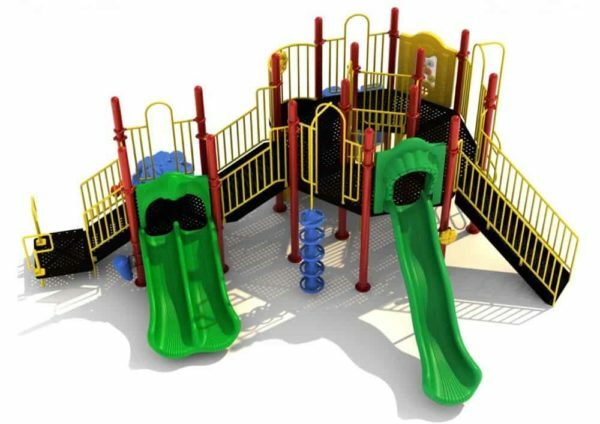 Product Use Zone:32' 11" x 37' 6"
Adventure is at your children’s fingertips with the San Luis play structure. 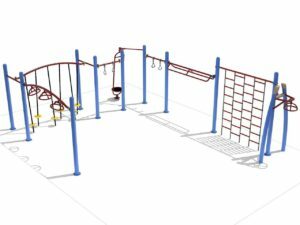 Let them crawl through the elephant crawl through which is attached beneath the 60” elevated platform. 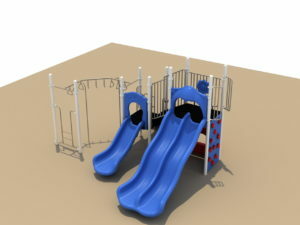 Then children can climb up a vertical ladder that is attached to an opening in the middle of the 60” elevated platform. 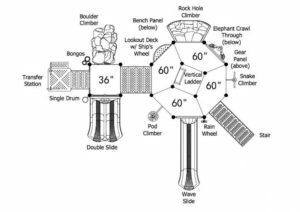 Children can also take stairs, a pod climber, snake climber, or rock hole climber up to this platform where they can then venture out onto a lookout deck with a ship’s wheel. From this platform they can slide down a wave slide or go down some stairs that lead to another platform. 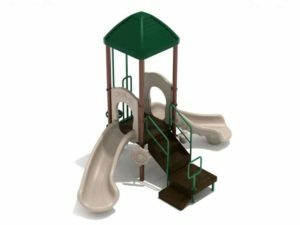 Attached to this platform is a double slide and a boulder climber. 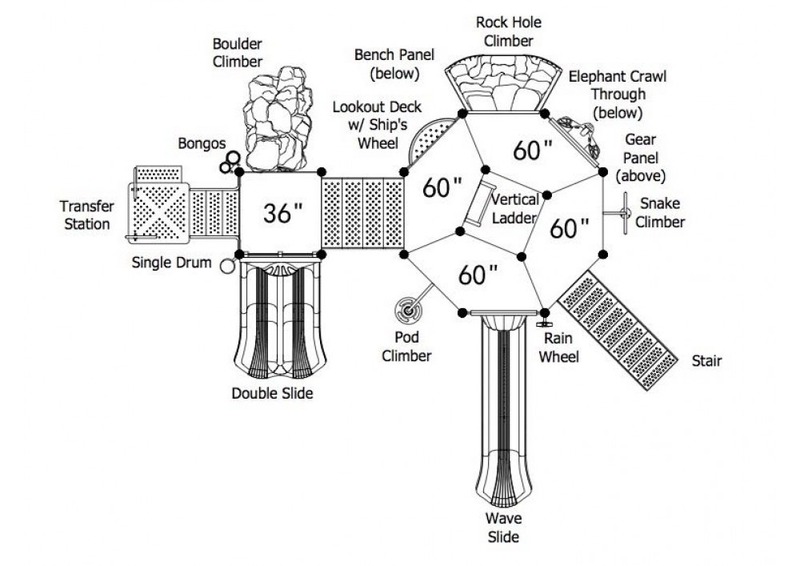 The San Luis play structure is ADA compliant with features such as a single drum, bongos, and a rain wheel. There is also a bench panel where children can sit and rest after fun play on the structure. 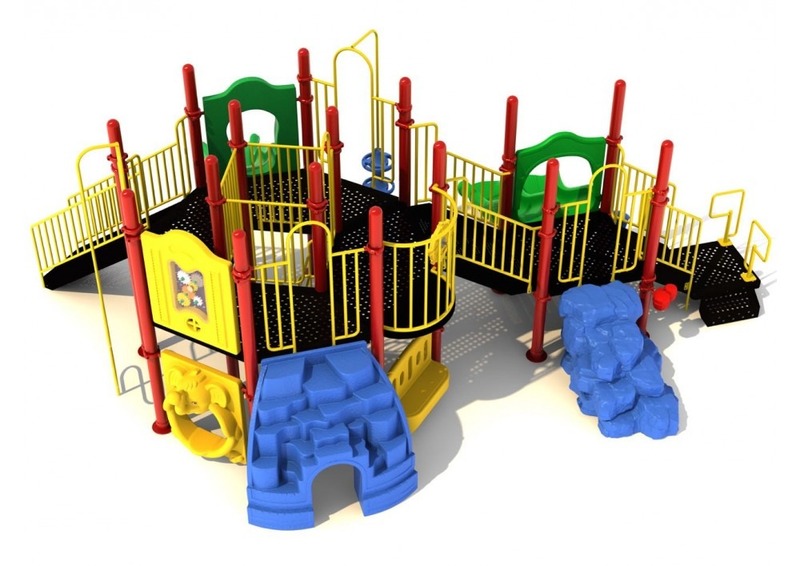 This structure is designed for children 2-12 years of age.